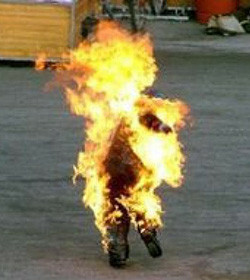 The self-immolation on Dec. 17, 2010 of an obscure Tunisian, Mohammed Bouazizi, set off a political firestorm across the Middle East that has yet to subside. His story as first told contained some inaccuracies; so now, with facts and his legacy more established, it's useful to review how the regional upheaval began. 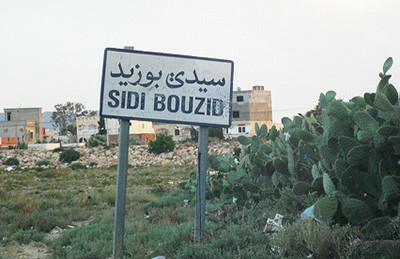 There, as throughout Tunisia during the era of Zine El Abidine Ben Ali, the police lorded it over civilians. In particular, they treated the produce market, where Mohammed Bouazizi sold fruit, in Fisher's colorful description, "as their personal picnic grounds, taking bagfuls of fruit without so much as a nod toward payment. The cops took visible pleasure in subjecting the vendors to one indignity after another — fining them, confiscating their scales, even ordering them to carry their stolen fruit to the cops' cars." 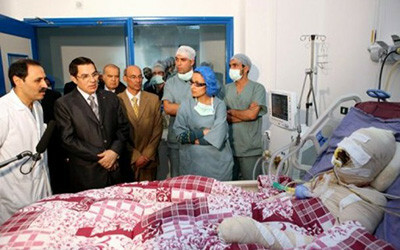 Bouazizi's uncle intervened on his behalf, getting the officers to leave off. The uncle then went to the police chief and requested him to tell the officers to leave Bouazizi be. The chief agreed, called Hamdi in, reprimanded her, and instructed her not to harass the young man. 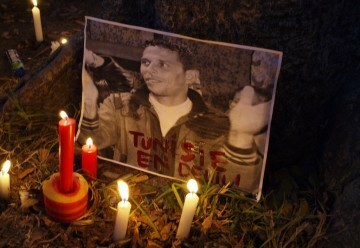 In a rage now, Hamdi, reached to take Bouazizi's scale and when he again intervened, Hamdi and two other officers threw Bouazizi on the ground. They took more produce and his scale. 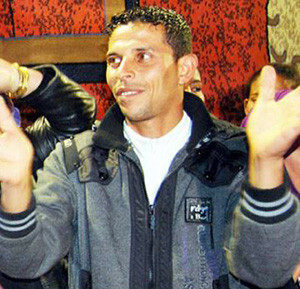 Bouazizi wept and pleaded. "Why are you doing this to me? I'm a simple person, and I just want to work." Then, as about 50 people in the market watched, came the act that set off a conflagration across the Middle East: Hamdi slapped Bouazizi on the face. 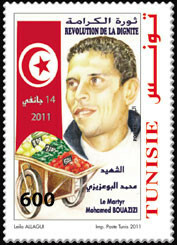 The new Tunisian government quickly issued a stamp in Bouazizi's honor. Apr. 20, 2011 update: In a spirit of healing, the Bouazizi family yesterday dropped its complaint against Fadiya Hamdi and the court has dropped charges against her. 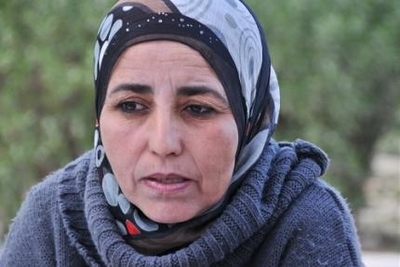 May 17, 2012 update: Michael Totten interviewed Fadiya Hamdi who defended herself, starting with the assertion that she is not a policewoman and that Bouazizi pushed and wounded her. 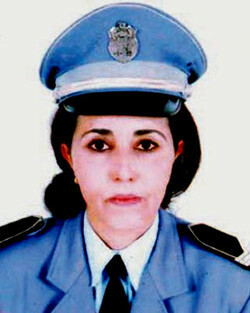 Fadiya Hamdi of Sidi Bouzid.